Sand Filter Aid is an initiative which seeks to promote the use of sand filters to clean river water.The technology is simple enough for rural folk to construct water filters for themselves. Cholera and typhoid can be a problem in water which is contaminated with excrement. A bio-sand filter kills germs in the water; these germs so that that the goodness of the water from the river, well or rainwater can be enjoyed, without getting ill from these germs. The water filter is a large pot filled with sand. The filtration is done by a living bio-mat which grows in the top layer of sand. You pour water in the top and safe drinking water comes out of a hose in the side. A tribute to folk who sponsor us! We can associate your donation with an end user. Of course you help the training effort generally but our users like to think they have been helped by someone in particular. The project is loved by the communities. Each area has a water committee who ensure correct use and maintenance of the pots. They help organise the training events which spreads filter building skills and gets the water filtering embedded into the community. Here are a collection of photos which shows what happens. This initiative seeks to spread the use of sand filters as a means to access clean water by people currently drinking untreated river water, or other sources of water, which may be a source of infection. 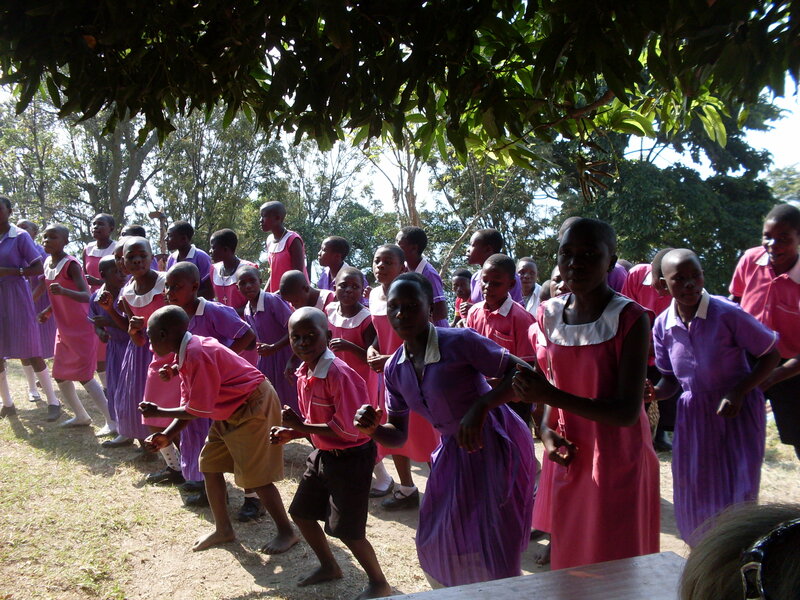 The team in Uganda associated with this website call themselves "Kisinga Community Clean Water". The sand filter solution has proven to by very cheap and is arguably the cheapest route to clean water for poor rural people such as shown above. The goal of the initiative is to empower people currently drinking river water to carry on doing so safely. Ultimately, it is hoped that the adoption of this approach will run so deep that it will not be associated with this or any other initiative but become an unquestioned and integral part of the community for whom family sand filters are an advantage.